Are permanents considered permanents before they're on the field? Enlightened Tutor and Idyllic Tutor perhaps? No trouble. I never considered that interaction! 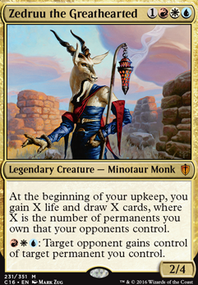 I've never been big on WU, but maybe I should look into a Taigam deck. Ethereal Usher , Enlightened Tutor , and Idyllic Tutor would probably be the next upgrades I would go for, then. Seaside Haven , Soulcatchers' Aerie , and Airborne Aid could also be good, depending on how reliably you get out Dovescape. YOU NEED Aggravated Assault !!! Heya goldlion, I personally love the idea. 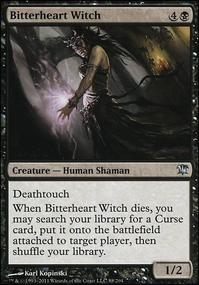 My friend uses Carnival of Souls in his tuned Teysa, Orzhov Scion deck and it's pretty degenerate. 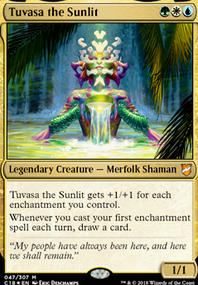 In regards for tuning for competitive play, if going all out the fast efficient mana rocks. 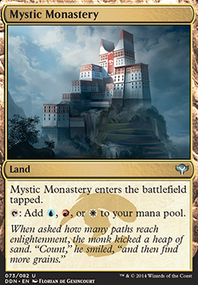 The standard usual Mana Crypt , Mox Diamond , Chrome Mox , Sol Ring , Mana Vault should be included. All tutors for consistency ex. 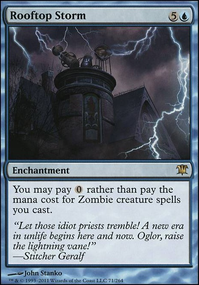 Vampiric Tutor , Demonic Tutor , Diabolic Intent , Imperial Seal , Grim Tutor , Enlightened Tutor , Worldly Tutor , and I would also include Idyllic Tutor . Next would be your main avenue for balancing your combo pieces. You need the life gain, so running all your soul sister effects are priority. I would run pretty much only the one drop ex. Soul Warden , Essence Warden , Soul's Attendant , and Deathgreeter . 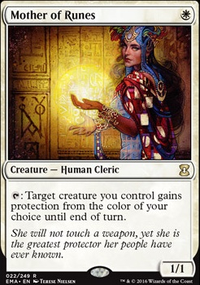 Both Blood Artist and Zulaport Cutthroat doubles as your win cons when you have every thing set up. 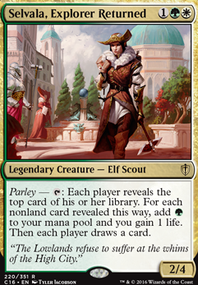 You also need to set up ways to proc Ghave when your Carnival is on the field so in goes Ivy Lane Denizen , Elenda, the Dusk Rose , Juniper Order Ranger , and Champion of Lambholt . All of these ones can lead to infinite triggers and than infinite tokens. Card draw is fairly important, so the usual engines are in ex. Sylvan Library and Necropotence . With having non-token creatures dying, you have them listed but they will also go in, ex. Midnight Reaper and Dark Prophecy . Dark Confidant will also go in with the low CMC curve. Skullclamp will also be an outlet for you as well to draw out your whole deck. You can test it out but Mentor of the Meek can be an outlet as well. Protection for your combo pieces are important. Riftsweeper should be included and Pull from Eternity only if you are dealing with a lot of exile effects. 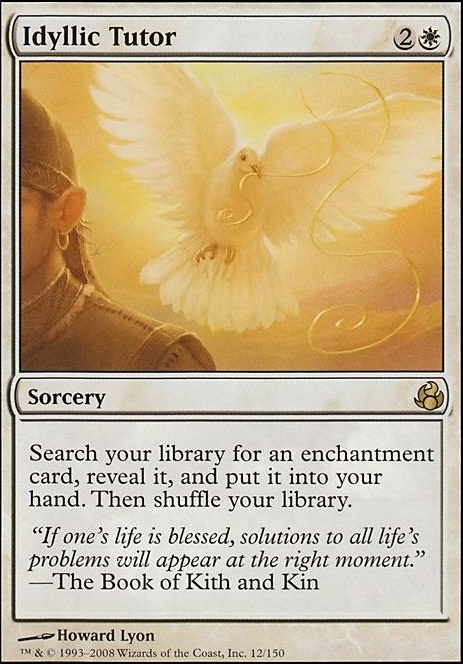 Silence has always been super helpful, and since there will be a lot of enchantment type effects you can consider running Greater Auramancy in conjunction with Sterling Grove . Sterling Grove also helps tutor for Carnival when needed. The rest of the cards can be filled with either similar effects, interaction, or advantage. Now going for your "Carousel" effect with Athreos. For this you would have to go with the infinite mana route, I would be adverse in going this route as it dilutes too much of the "Carnival" route. With the infinite mana you would need to add in cards like Phyrexian Altar , Ashnod's Altar , or Earthcraft in order for you to gain infinite mana. 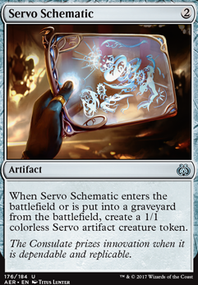 With that as well you need cards that will bring your creatures back to the battlefield or hand, so Phyrexian Reclamation , Corpse Dance , Disturbed Burial can be considered.